Balancing the benefits and risks of social media is often a tricky business. While social media offers powerful opportunities for law firms to distribute content, connect with business associates and follow news in real time, actively participating on social media sites can sometimes lead to reputational damage and other employment-related legal problems. In a recent LMA Midwest panel discussion, we discussed how to minimize a law firm’s risk of crises related to social media usage. Guidelines for how attorneys communicate their connection to the firm – professional versus personal accounts. Instructions for following ethical standards and attorney advertising rules. Guidance on what to share and how to engage. Rules for maintaining confidentiality and privacy. Directions for handling potential crisis situations, such as how to deal with social media trolls. Jaffe offers a free social media policy template to get you started. Distributing a social media policy throughout the firm is only the beginning. Further education will help guide attorneys and staff on best practices for interacting online. By providing deeper insights into potential crises that can happen on social media, law firms can greatly reduce social mishaps. Be creative in how you educate your attorneys and staff on social media usage. Shoot short video segments with quick tips about how to behave online. Keep the segments brief and focus on a singular point. Talking-head videos or screen casts should be relatively easy to shoot and won’t require heavy editing. Share horror stories of people behaving badly online. Instances of “What were they thinking?” usually demonstrate cautionary tales of what not to do – and often serve to entertain at someone else’s expense. Plain old bribery with food works as well. Set up a series of “Lunch and Learn” sessions to go through compliance with the firm’s social media policy. Develop a CLE training program that gives credit to attendees. Who has administrative access to each of your law firm accounts? What notifications are in place? Who monitors mentions of your firm name and names its attorneys? Who is responsible for responding to comments and questions through social media? Follow these best practices to ensure your corporate accounts are managed properly. Keep a list of all administrators for each social media account. Employee arrivals and departures should include instructions for social media administrators. When anyone who has access to the firm’s social accounts leaves the firm, that access has to be revoked immediately. Ensure that select members of your crisis response team have access to the firm’s social media accounts. In the event of a crisis outside business hours, someone managing the crisis may need to post online or respond to a developing situation in real time. Tracking down a marketing director at 9:00 p.m. on a Friday is often difficult. Provide guidelines for updating user information and passwords. Your IT department can help set standards and frequency for password resets. Be careful when setting up LinkedIn Groups. If an attorney or staff member creates a LinkedIn Group for business purposes, that group will be tied to the individual’s personal profile and will follow that person if they leave the firm. My colleague, Stephanie Holtzman, recently wrote about CrockPot’s social media response to a brand crisis that struck the company completely out of the blue. It’s a lesson in preparedness. Never assume a social media crisis won’t befall your firm. 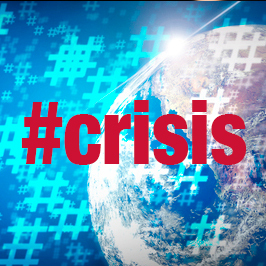 Your law firm crisis response plan has to include a process for handling social media crises. Managing and minimizing a social media crisis happens on a case-by-case basis, but getting a grip on the situation early is of utmost importance because word travels fast on social media. Take down the post/content immediately. Assess the damage. How widely did the information disseminate online? Address each instance and respond accordingly. Develop messaging to address the crisis. If you decide to stay silent on the issue, continue to monitor online mentions and have a plan to respond if the situation changes. Determine how you will disseminate your response message. Will you use the firm website, social media platforms or third-party media? For additional tips on creating a social media policy or managing a social media crisis at your law firm, contact me, Melanie Trudeau, at mtrudeau@jaffepr.com. Special thanks to the LMA Midwest region and Jason Klika at Horwood Marcus & Berk Chartered for setting up the event; John Turek (Mayer Brown), program moderator; and Peter Berk (Funkhouser Vegosen Liebman & Dunn), fellow panelist, for their insights into social media crisis management.